For the best that Namibia has to offer, this 7 day “package” is the best value for money option available. This package includes 6 nights accommodation, airport transfers, a wonderful half day tour, as well as a safari to the world renowned Etosha National Park, an overnight visit to the adventure town of Swakopmund and a magical 2 nights in the Namib Desert visiting the dunes of Sossusvlei and Dune 45. This is a perfect choice because on this tour one gets the chance to see some of the main attractions or hotspots in Namibia all in one safari. 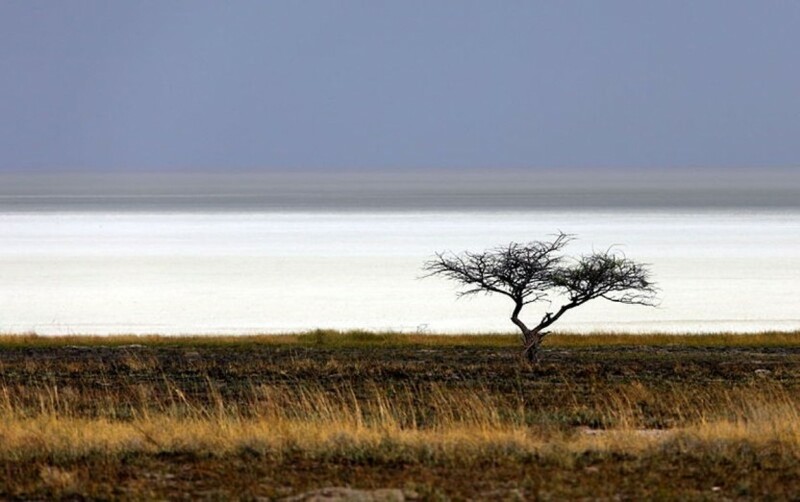 These are namely, Etosha National Park for wildlife experience; Swakopmund which is the adventure town of Namibia; Sossusvlei which is famous for its magnificent Sand dunes, mountains, and a great close feel of the Namib Desert. This is actually a combination of the two 3 day safaris (Etosha Express & Sossusvlei Express). This is a fully accommodated safari and great option for those clients with limited time available to explore much of Namibia in just 6 days. 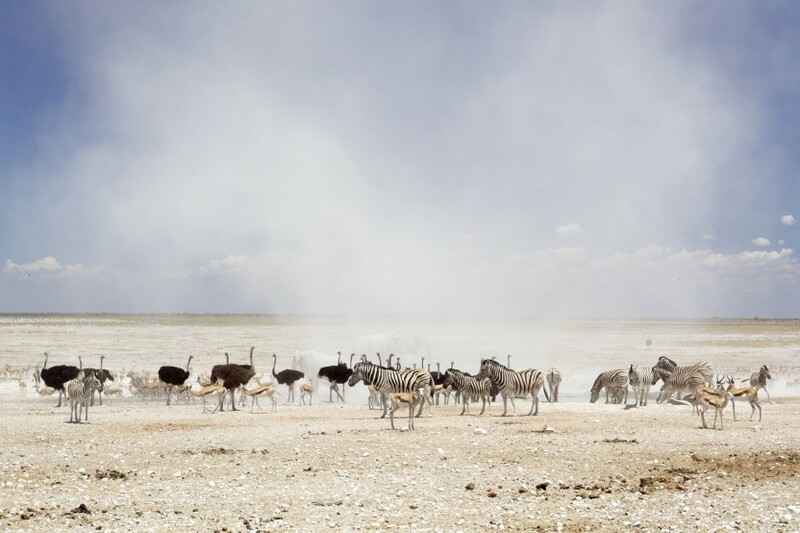 Etosha National Park is renowned as one of the best game reserves in Africa, a haven for wildlife, and supports one of the most important ecological and wildlife systems on the continent. So this tour is a great opportunity for the animal lovers and ecological enthusiasts. On this tour, one gets a chance to see a large number of the white rhino and endangered black rhino, lion, cheetah, leopard, elephant, giraffe and numerous species of antelope as well as an impressive 340 species of birds - enough to keep any nature and wildlife fanatic happy. 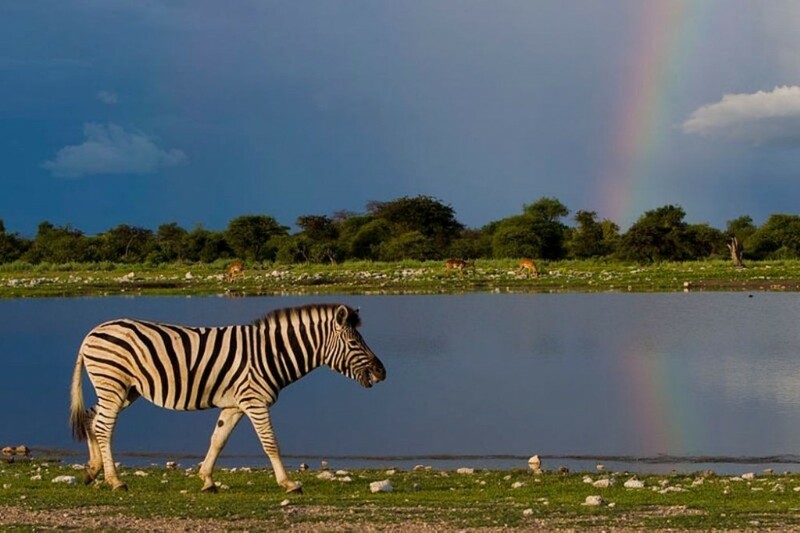 Enjoy afternoon game drives through the park visiting waterholes looking for predators as well as zebra, giraffe, elephant, rhino and many different species of antelope. This short safaris takes you to one of the best game reserves in Africa, a haven for wildlife. Also included in this fabulous short adventure is an overnight stop at Swakopmund, the adventure capital of Namibia which gives you a chance to meet the wonderful Herero ladies who sell their handmade arts and crafts to support their rural families, see Namibia's tallest mountain, the Brandberg, and you can interact with some of the colourful local characters who live in this harsh environment. On the drive down the Skeleton Coast we explore the remains of a small shipwreck and a visit to the RAMSAR Protected site of Walvis Bay Lagoon to see the flamingos in their thousands.